The secret-spilling group WikiLeaks said Thursday it was in the process of publishing material from 2.4 million Syrian emails — many of which it said came from official government accounts. WikiLeaks’ Sarah Harrison told journalists at London’s Frontline Club that the emails reveal interactions between the Syrian government and Western companies, although she declined to go into much further detail. 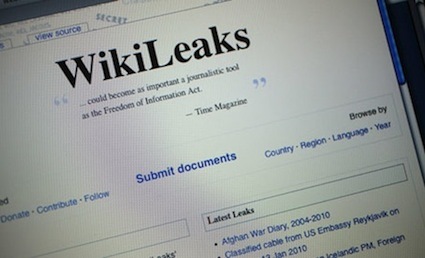 WikiLeaks only posted a handful of the documents to its website Thursday, but the disclosure — whose source WikiLeaks has not made clear — wouldn’t be the first major leak of Syrian emails.